Built in the early 1930s with subsequent upgrades in the 1960s, 1970s, and 1990s, the Woonsocket WWTF is burdened with aging equipment and faces increasingly stringent regulatory requirements from the Rhode Island Department of Environmental Management. 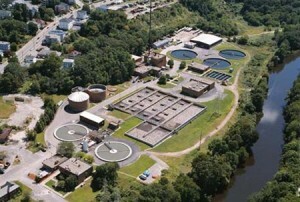 In August 2012, the City of Woonsocket, Rhode Island, selected Jacobs to assume operations of the existing facility, perform design‐build upgrades, followed by long‐term operations of the improved wastewater treatment facility. Operate/design‐build‐operate (O/DBO) of a $84.1‐ million facility upgrade (capital: $36.9 million, 20‐ year O&M:$47.3 million) to expand capacity from 10 to 16 mgd. Advanced process technology will improve the City’s water quality and environment by reducing phosphorus and nitrogen discharged to the Blackstone River. Jacobs will operate the plant through construction for a 20-year term. Upon completion in 2016, Woonsocket’s upgraded facility significantly improved the City’s wastewater treatment capabilities, while improving water quality and the environment by reducing phosphorus and nitrogen discharge to the Blackstone River.